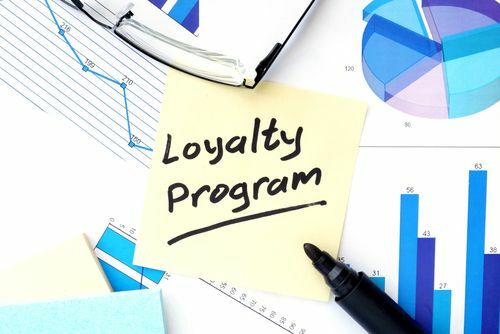 Customer loyalty programs are extremely popular. It seems that every restaurant, supermarket and department store has a club card or smartphone app designed to encourage repeat shoppers. Retaining customers is good business. You have the opportunity to develop a relationship with repeat customers. In the mortgage industry, most customers only need a new mortgage or refinance about every 3-7 years, so it is much different. A restaurant can offer rewards like free appetizers or drinks. As a mortgage professional, you could offer perks like reduced paperwork requirements or discounted closing costs. These concessions will cost something up front, but the long-term benefits may be worth the investment. Personalized media delivers a message customized for the recipient. Your mortgage customers pass through predictable stages, such as settling in to a new home, doing renovations and remodeling, and looking for a smaller home once children leave the house. Once you develop materials suitable for customers at various stages of home ownership, you need a system to consistently communicate with them as part of your mortgage loyalty marketing program. Here’s an example of a post-closing communication system. You have a lot of information about your existing customers. When you do business with these customers again, you can skip the early stages of data collection and income verification. Because you are doing less work, every deal has lower overhead associated with it, and your profits are greater. Your current customers are also an excellent source of referrals. You can encourage referrals by offering incentives to your current customers who refer new customers. In the mortgage industry, customer loyalty programs may not be the most obvious choice, but they are an effective tactic to improve your bottom line.